Did you know that the current industry best practice for Recovery Point Objective’s (RPO) and Recovery Time Objective’s (RTO) is 15 minute RPO and 1 hour RTO respectively? According to the recent IDC webinar, Optimize Data Protection Costs and Defeat Malware for Data-Centric Organizations, the previous recovery times used to be 24 hours! These new aggressive timeframes are good for meeting organizations’ data availability objectives, but could be susceptible to the “dark side”, according to Phil Goodwin, IDC Research Director. In this BlogBytes, we will review key points from the webinar and discover how to brighten up the dark side of data storage. IDC predicts there will be over 160 zettabytes (ZB) created per year by 2025. As discussed in the webinar, a small portion of that will be stored data, but it will be nearly triple the amount of data stored today. It is estimated that about 60 percent of it is cold data and, therefore, logical for tape storage. IDC’s definition of cold data is data that has less than 50 percent likelihood to be retrieved within the next 30 days. IDC indicates that currently more than 50 percent of stored data includes information requiring security and special handling such as financial transactions, HIPPA, trade secrets, personally identifiable information, litigation, email data and more. 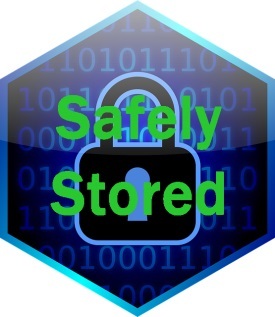 This high-risk information is expected to be about 75 percent of stored data by 2025. The question then becomes how do organizations create an environment to secure this massive amount of information while also making key data available when needed? In the webinar, IDC looks closely at the factors affecting data availability and security. Organizations are trying to make data readily available by “driving to zero”, meaning zero downtime and zero data loss. To achieve this, organizations are employing storage methodologies such as snapshots, synchronous replication techniques, cloning and more – both onsite and remotely. 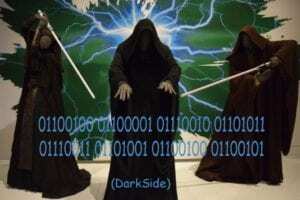 This inter-connectedness can cause vulnerabilities that attract dark-side “bad actors” such as malware and ransomware. When malware and hackers attack, corruption can spread quickly as the damaged data is replicated from one storage pool to the next. Ironically, it’s these very technologies that are used to achieve zero downtime and zero data loss that can actually escalate an isolated cybersecurity breach into a full blown epidemic. So what can be done to avoid this unwelcome scenario? To combat the “dark side” conundrum, IDC suggests a mix of technologies to form a continuum of availability. Mirrors, clones, snapshots and the like, have low RPO and RTO, but can be expensive and vulnerable to malware attacks. Tape backup and recovery may have higher RPO and RTO, but tape can restore large data sets quickly; has a low cost per gigabyte and is an extremely powerful defense against malware attack. 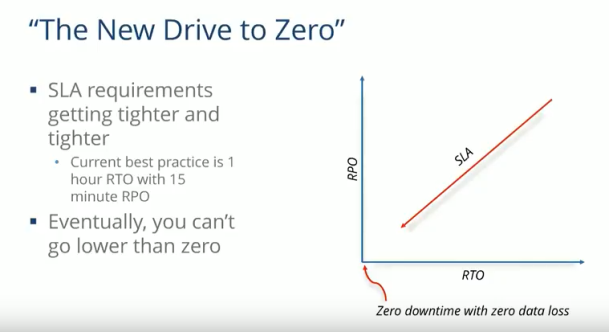 As noted in the webinar, “Tape has an inherent air gap. There is a break in the connection between the data itself and the backup copy of the data” – whereas disk systems remain online and are potentially vulnerable to an attack. With tape there is an air gap between the tape cartridge and the computer system itself, meaning that there is no electronic connection to the data on the tape cartridge helping to prevent against an attack. The dark side can get a lot brighter with safely stored data!